All the tips for choosing a builder that suits you and your building requirements. Before even thinking of which builder you want to engage with you should decide upon a rough scope of works for your build. Once you’ve decided what works you want completed now would be a good idea to draft up a budget for your project and what this should include. Do you research on how much it will cost you to build from other people’s experiences as well as how much you may sell it for. This will help you narrow down and confirm your scope of works as well as point you in the direction of the type of builder you will need. With budget and scope of works decided it is time to consider the type of builder you want. There are many different types of established builders now that you can get specific. Generally builders can be categorised as specialty, general or project home builders. In the end, it is up to you and heavily dependent on the end product that you want. For example, if you are looking for customisation and personality a project home builder would most likely not be the best choice for you. Before engaging with builders it would be wise to research their backgrounds and qualifications. You want to make sure that they are both reliable and trustworthy. Two easy ways to do this are to do searches for their QBCC license or to check if they are a Master Builder. These are the first steps to checking quality assurance for your project. To find out whether a builder is a Master Builder use their convenient find a Master Builder search page. For your piece of mind you should also enquire about their insurances during the construction period as well as their pasts projects they have completed. Most quality builders will be proud of their work and should be happy to show off their portfolio. All clients are different in this regard – some like to know everything and have a say in all of the project’s decisions whereas others like the builder to design it all and then just have them sign off on things. As a result of this, different builder’s offer different levels of engagement. Before you choose your builder it is a good idea to decide how closely you want to be involved and to make sure that the builder’s you are talking with match this. If you want to be immersed in the build you don’t want to get to the contract stage and find out that the builder has pre-selected everything. When deciding on a builder it is always good to ensure that you know who is your contact for the project and that you feel comfortable with them. You should be able to name your point of contact and be able to call them if you have any questions. This will allow you to trust that your project is in safe hands. If you’re unsure of who your contact would be it is often as simple as asking. Do they accept variations once work has begun? Are there variation fees if they do accept them? Are you limited to certain fixtures/features? Do you get regular updates on the progress of your project? It is really important that both you and your possible builder is specific. If things are left out you don’t want to get halfway through your build and find out that they have left out a really important costing. This will just cause things to get hairy fast! To avoid this, make sure that you communicate exactly what you want to the builder and if you feel as if something is missing, ask the question. You should also ensure that the quote a builder provides you with is comprehensive. It should include everything from start to finish. If they list exclusions or forget to put something in, ask them to add it. If they won’t? Then they are probably not the right builder for you. You need to remember that your builder should match your needs because ultimately, this is your home/investment not theirs. If you’re in the process of working out how to choose a builder, let us know! 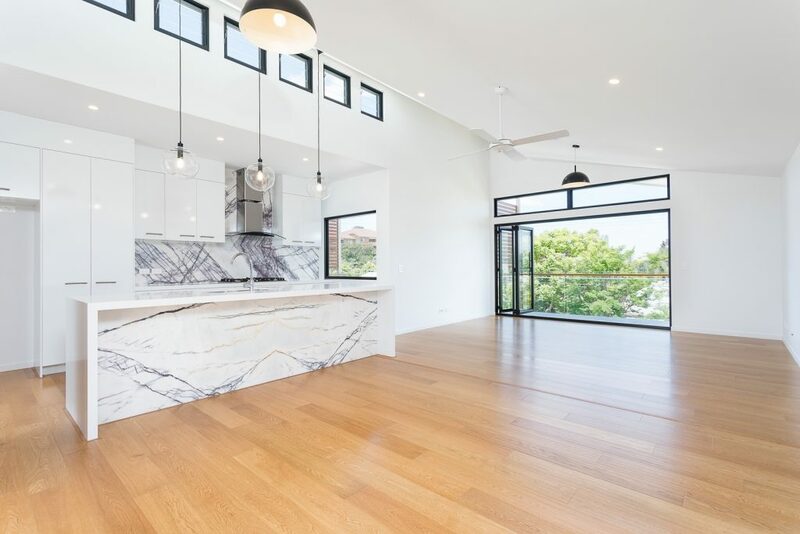 Our team here at LEAP Quality Homes and Renovations/Constructions are always happy to offer advice or to help quote on projects. All you have to do is ask. Call us on 1300 005 327 or email admin@leaphomes.com.au for direct advice OR head to our quote page.